Dec 6: The mobile medical team of Vivekananda Kendra Arun Jyoti (VKAJ) organised few medical camps in epidemic affected villages under Longding district recently. Over 367 patients were examined and medicines distributed free of cost to the patients during medical camps organized at Niausa and Senua villages on December 4 and 5. Rapid Malaria Tests (RMT) was also done on 67 suspected patients during the medical camp. 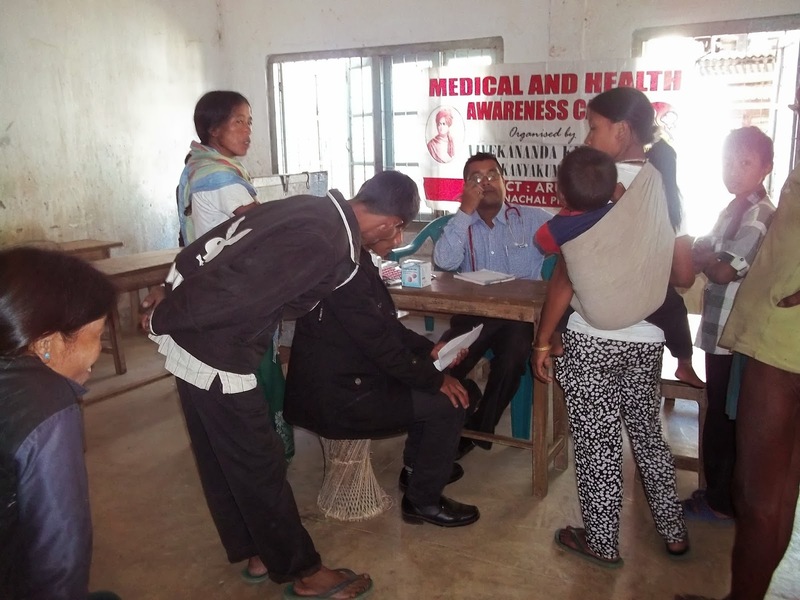 A similar medical camp was also conducted by the same team at Longliang village of Lazu circle of Tirap district today and treated 67 patients. De-worming medicines were also distributed to 41 children. Later, the team visited the Govt. Residential School of Barap and treated 18 sick students. A health awareness meeting was also conducted by the team where the Doctor interacted with the students. He gave more emphasis on personal hygiene to remain healthy.